Calgary truck and trailer repair shop, J & W Mechanical Fleet Services Inc. expands its hours of operation to accommodate busy transportation companies. CALGARY, ALBERTA, CANADA, November 15, 2018 /EINPresswire.com/ — Calgary heavy duty truck and trailer repair shop, J & W Mechanical Fleet Services Inc. expands its hours of operation to accommodate busy transportation companies. Starting January 2, 2019, the new operating hours will be from 7:00 AM to 6:00 PM MST on weekdays. The Calgary truck shop will still be closed on the weekends and all statutory holidays but is looking to add a weekend shift in Q3 of 2019. J & W Mechanical Fleet Services Inc., more commonly known as J & W to locals offers a full-service diesel engine, truck and trailer repair services including preventative maintenance, CVIP Inspections, complete powertrain service and repair, engine rebuilds, and trailer and van bodywork among many other services. About J & W Mechanical Fleet Services Inc. 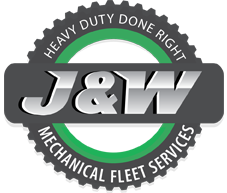 Founded in 1997, J & W® Mechanical Fleet Services is a private family owned and operated heavy duty truck and trailer shop located in Calgary, Alberta, Canada. We have been serving the Calgary area Since 2007, and have built a very good reputation in the industry. At J & W® we believe in customer service and we mean it! For almost 21 years we have been providing heavy duty truck and trailer service to hard-working truck drivers, fleets, and individuals. We are proud of the reputation for quality, fairness, and goodwill we have come to be known by and strive to be what’s best for our customers’ needs. We are also a Licensed Alberta CVIP facility and must abide by strict standards. In addition to providing Alberta Safety Inspections, we also provide and offer a host of other services. J & W Mechanical Fleet Services Inc.
Next Next post: Biocoal Patents Ownership Transferred to Biomass Secure Power Inc.